About 18 months ago, I decided to start this fantasy novel thing. I’d had an Idea, and it wasn’t letting me ignore it (much like the two-year-old I also had), and I thought I’d better just write it so it would stop pestering me. Much to my surprise, I seem to have cobbled enough stolen hours together to finish it. 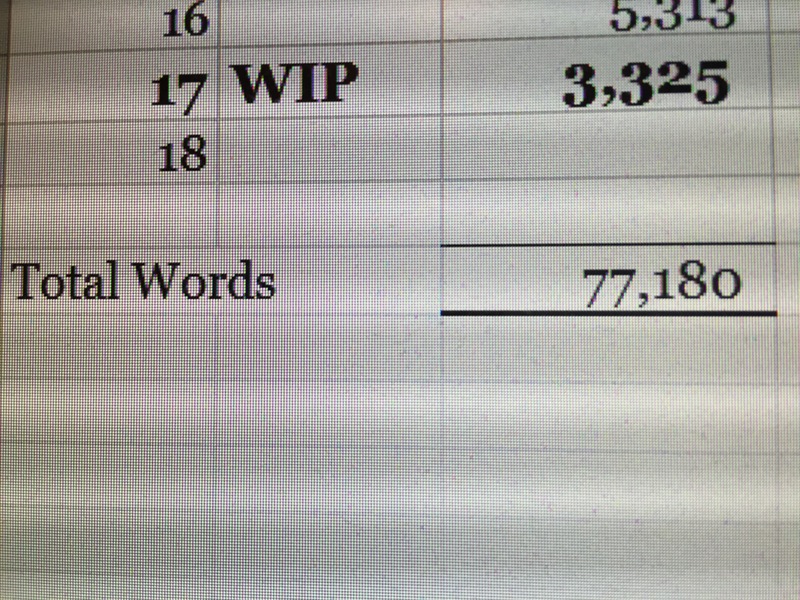 I’m not done yet, but I am coasting into the last chapter, and the big climactic scene went in the file today. I also have three pages of notes on Book Two, and a rough idea of Book Three, and there’s Four and Five, if I get there. Cart, horse, I know. In a couple of weeks, I’ll be editing. I. Love. Editing. I know I need to rewrite the whole beginning (of course, and for the second time), and the rest needs continuity and serious improvement. I wrote it an hour at a time while the little girl was at preschool two mornings a week…in all honesty, it’s probably a hot mess. So much room for improvement! That excites me, because I’m really, really strange. My goal of a readable draft by Christmas is doable. I’ve been hanging out admiring myself today over that. I know that when the handful of early reader copies go out for big picture feedback, I’m going to be a nervous wreck. Then rewrite, then figure out the crazy publishing world and see if anybody wants to take a chance on it. If not, figure out the crazy self-publishing world, I think. Thanks for hanging around to see what happens. You helped.